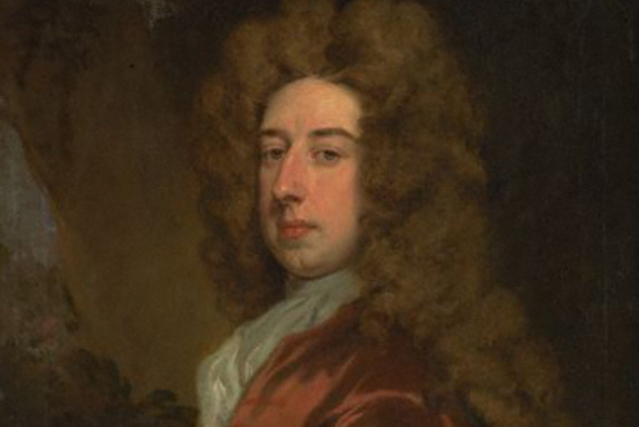 Spencer Compton, Earl of Wilmington, was a compromise First Lord of the Treasury during a period of political instability. Born around 1674 to aristocratic parents (his father was third Earl of Northampton), he was educated at St Paul’s School, the Middle Temple and Trinity College, Oxford. Compton’s family background suggested allegiance to the Tories – his uncle was Bishop of London – but, following a quarrel with his elder brother, Compton shifted his affections to the Whigs. He sat as MP for Eye in Suffolk from 1698 to 1710 and then for various Sussex seats from 1713 to 1728. Compton became close to Robert Walpole and was appointed Chairman of the Commons election and privileges committee in 1705. This reflected his interest in parliamentary process and it was here, rather than in brilliant oratory, that Compton’s skills lay. He was involved in the impeachment of the incendiary Tory preacher Henry Sacheverell in 1710 and consequently found it difficult to acquire a new seat when a dispute with Lord Cornwallis, patron of the Eye seat, prevented him from standing there again. Following the Hanoverian succession that brought George I to the British throne in 1714, Compton hoped for rapid political advancement. He was eventually rewarded with roles as Treasurer of the Prince of Wales’s household and Speaker of the House of Commons in 1715. Compton’s knowledge of parliamentary practice and precedent proved invaluable in the latter role. His connections with both the Prince of Wales and Walpole placed him in a difficult position when relations broke down between the Prince and his father, George I, in 1717. In an episode known as the Whig split, Walpole and Charles, second Viscount Townshend, led a group of the Prince’s friends into opposition against the King’s ministers - James, Earl Stanhope and the third Earl of Sunderland. They were motivated both by concerns about policy and support for the Prince, but Compton now found himself attempting to remain neutral in the speaker’s chair. With the ending of the Whig split in 1720, Walpole and Townshend drifted back towards the King, while Compton remained loyal to the Prince of Wales. Compton became Paymaster of the Forces in 1722 but the Prince made no secret of his desire to replace Walpole with Compton when he succeeded to the throne. Thus, on receiving news of his father’s death from Walpole in June 1727, the new King made clear his preference for Compton to head the government. A combination of Walpole’s hard work and Compton’s timidity meant, however, that Walpole was able to continue as First Lord of the Treasury. Compton was ennobled (as Baron, and later Earl of, Wilmington) in 1728, perhaps because Walpole was keen to remove him as a potential rival in the Commons. He retained a strong dislike of Walpole and maintained contacts with a number of opposition figures, but he joined the administration as Lord Privy Seal and then Lord President of the Council in 1730. He remained a reasonably loyal minister for much of the 1730s. Yet his loyalty came at a price – following hints he might join the opposition during the Excise Crisis of 1733, he was made a Knight of the Garter. As Walpole’s power ebbed away following the declaration of war with Spain in 1739, Compton urged George II to reconstruct the ministry on a broader base. He was rewarded with appointment as First Lord of the Treasury in February 1742. He attempted to bring in oppositional Whigs and Tories to reconstruct the ministry but failed in the face of resistance both from George II and Walpole’s followers. He remained the titular head of the administration until his death in July 1743 but Walpole’s political heirs, Newcastle and Pelham, and John, Lord Carteret remained powerful political figures. Unmarried, his estates were left to his nephew, James Compton, fifth Earl of Northampton. The cities of Wilmington, Delaware, Wilmington, North Carolina and Wilmington, Vermont are named in his honour.